Happy September! I’m not sure where August went! Espressos of Faith is belatedly celebrating a Blogiversary! We opened up the site on August 3, 2014 and started posting August 15, 2014. I’ll never forget it because I was on vacation, and my web site manager and I said: “Okay, ready or not, here we come!” (I’ve since learned to put better margin in my life and not attempt huge undertakings while away to relax.) 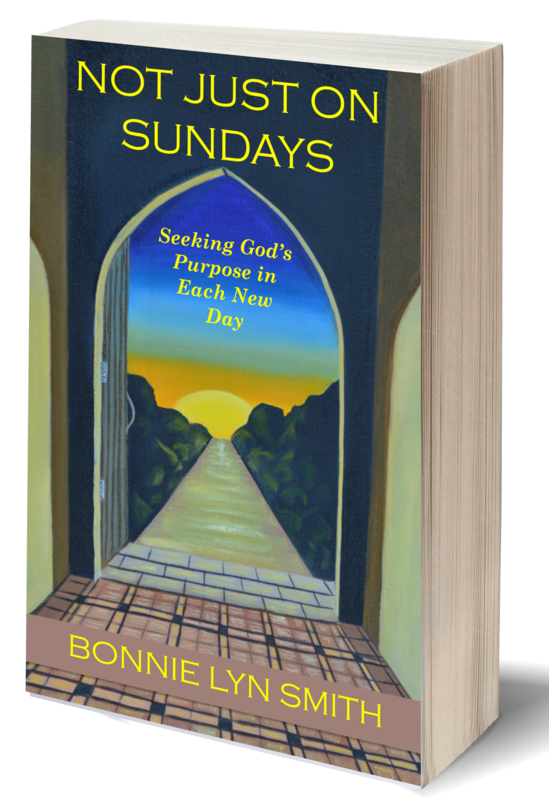 Not long after, by the amazing grace of God, Not Just on Sundays: Seeking God’s Purpose in Each New Day was published on October 1, 2014, a day shy of my birthday. This summer, I’ve been keeping a weekly faith column at Your Tewksbury Today and slowed down in terms of adding content to the blog site. Personally, we had a challenging summer on several counts, and rest became a must. In honor of a year of faithful readers, engaging conversations, and much-needed personal growth, Espressos of Faith will aim to post twice a week this month, hopefully posting a few guest bloggers along the way. Thank you for coming alongside me and reading what my heart wants to communicate. I dedicate each post to the Great I AM, Whose hand I never want to let go of—not in the stormy seas and not even when the skies are clear and the air about me dancing with dragonflies. It’s the best hand I’ve ever held: The Warm Hand of Jesus on Cold Days of Doubt. Summer: A time when the family spends significant amounts of quality time together, regroups from the busy school year, checks every item off the year-in-the-making to-do list, and catches up on each other’s lives. Sound good? Yes, yes it does. But summer can also be a time when all problems shoved to the side by our busyness the rest of the year come rushing into that empty space like an angry brook moving so swiftly, it polishes pebbles along the way. Only I’m the pebbles, and no matter how smooth I think I am, the water continues to force its way in and demand my attention. We glided into July with a few weeks of calm. It was good to sleep in, not worry about schoolwork, and follow our whims about the schedule. And then, like a gigantic, threatening, visible but still-out-to-sea tidal wave, suddenly every issue that had been building—some unbeknownst to me—piled on top of my head. When I thought maybe I had a handle on one area, another person in the family would point out another flaw in our relational dynamic. Not fun. Believe me: I didn’t want to! I got to the point where I’d rather cover my ears and sing loudly to myself than to hear more feedback, complaints, or even inquiries. But you know what? We learned so much about ourselves and God as we trusted God with our unravelling and let Him direct the restitching. We had been going at a rapid pace for so long that once the dust settled, everyone had plenty to say. I learned that cutting off the complaint before it was fully delivered was not always productive. I had been shutting down communication thinking I’d spare each member more pain. Really, I was blocking the healing process of being heard. There is certainly a time and a place for setting up healthy boundaries and not allowing toxic conversation to continue, but it is also okay to hear the harder statements and let people finish. Really hearing someone is a skill we must always practice, pray for more of, and be deliberate about. 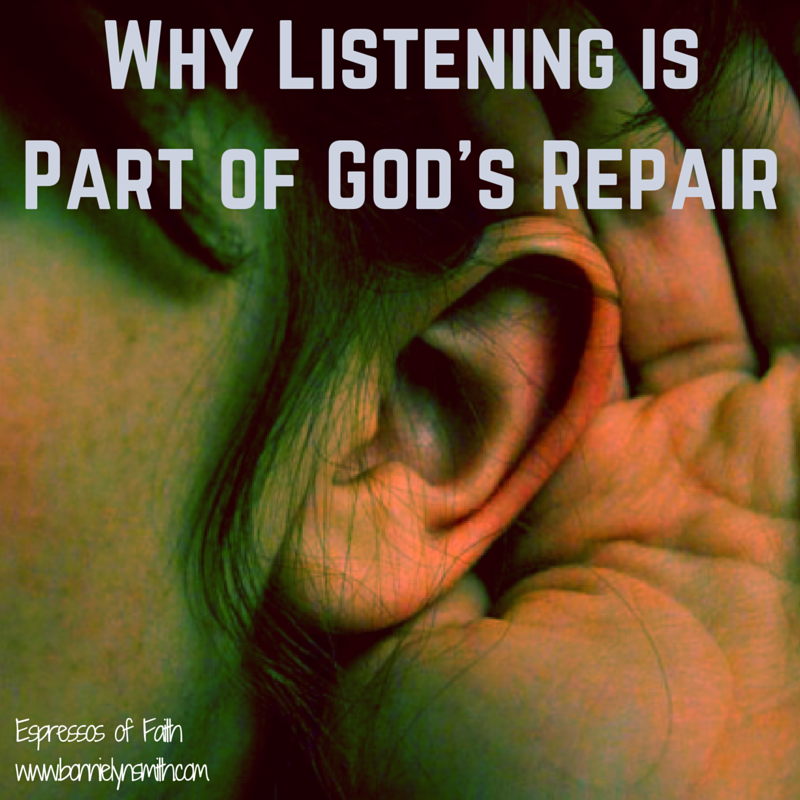 Hearing is part of God’s plan for repair. Where can we fine-tune our #listening this week for better #connectingwithothers and with #God? Are you railroading over what someone is trying to say? Could you repeat back the person’s concern? Does he/she feel validated and heard? Is your ear attentive to wisdom? Is your heart inclined toward understanding? I also discovered that God has a voice, and I was so consumed with putting out the fires around me, I forgot to listen to it. He was still speaking, but I had to tune in. Proverbs 2:1-5 asks me if I am calling out for insight, searching for it like hidden treasures? Our first reaction is often to take the helm, rushing in with our own fix-it manual, or deny the issue altogether. Where can we fine-tune our listening this week for better connecting with others and with God? Where can we find hope in the rubble of our communications-gone-wrong? I’m still learning the non-talking end of communication, but I’m so grateful God offers us instruction and that our ears can be used as instruments of His repair. **It has also been shared at any link highlighted here: Mom 2 Mom Monday Link-Up, Make a Difference Mondays, Pick Your Pin Tuesday, Women With Intention Wednesdays, Grace & Truth, A Little R & R, RaRa Link-Up, Me, Coffee & Jesus, Dance With Jesus, Blessing Counters, Coffee & Conversation, Saturday Soiree, Tell His Story, Find Stability, So Much at Home, Faith-Filled Fridays, Reflect His Love and Glory Link-Up, Bonbon ‘n Coffee Linkup, and Christian Mommy Blogger. More anecdotal stories about an everyday relationship with God can be found in Not Just on Sundays: Seeking God’s Purpose in Each New Day (includes Book Club Discussion Questions). How time flies… Mine is drawing closer. Yes Bonnie hearing someone is a skill and actually listening is intentional. We can hear all that they say but not listening or paying attention to their heart of feelings. Thank you for thee wisdom. Many Blessings to you Bonnie and have a splendid week. Thank you so much, Ifeoma! I really appreciate you stopping by and for your encouragement. If we all worked on this skill a bit more with each other, wouldn’t communications improve significantly? Blessings to you as well!